I finally found a use for the dull saw blades collected over the years! 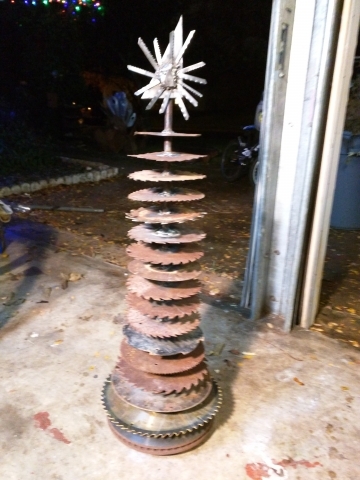 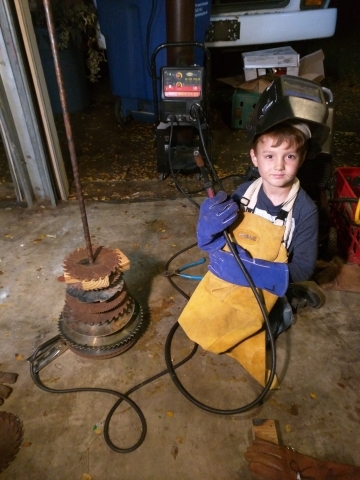 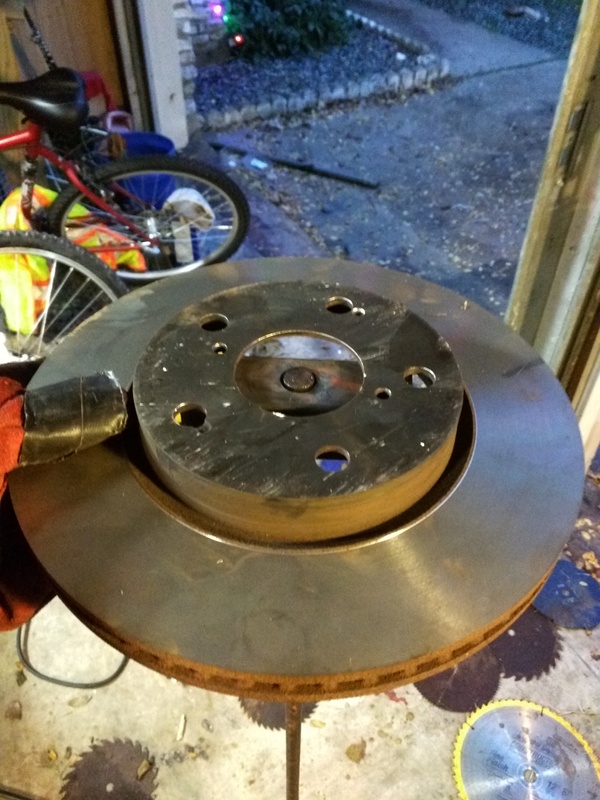 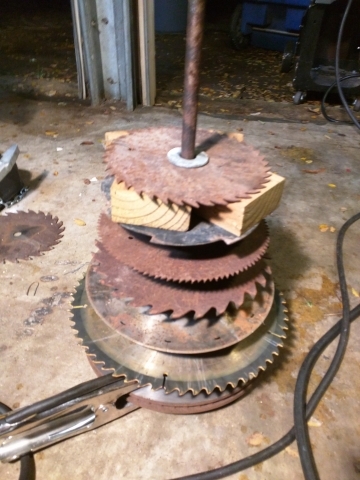 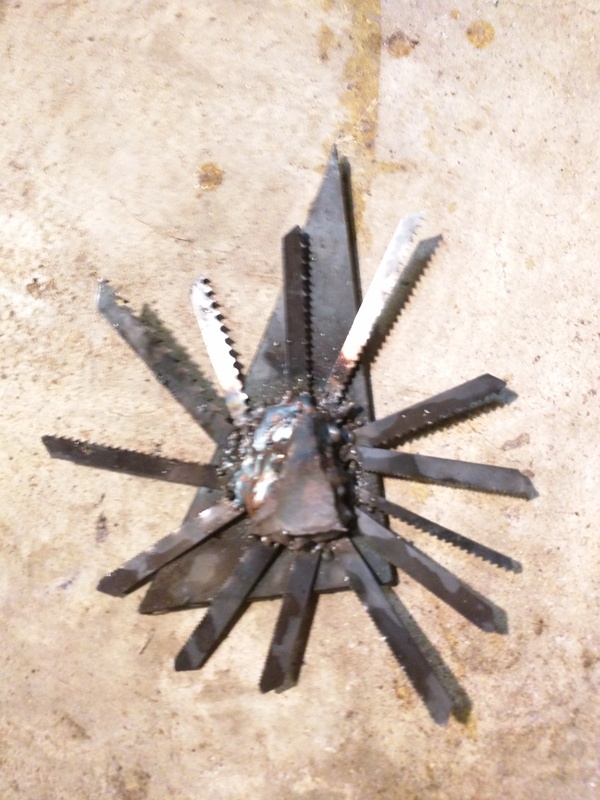 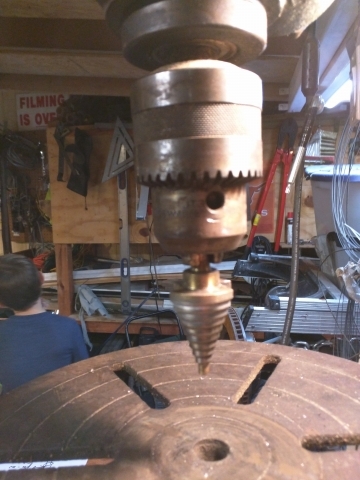 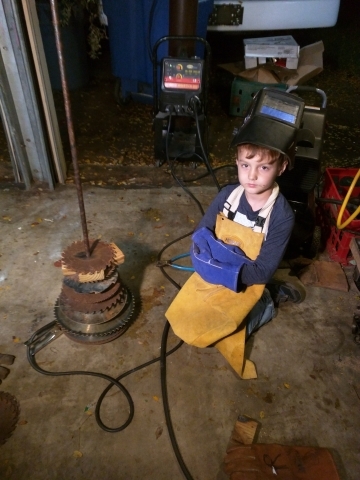 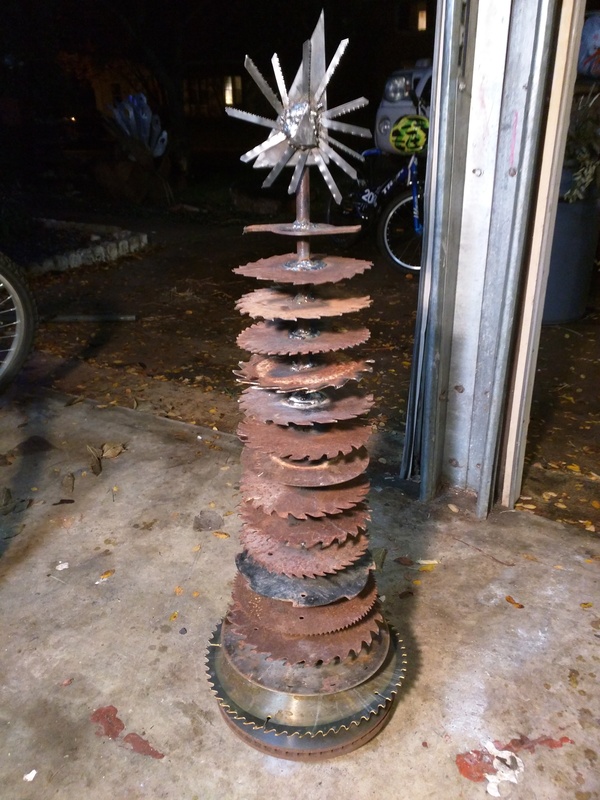 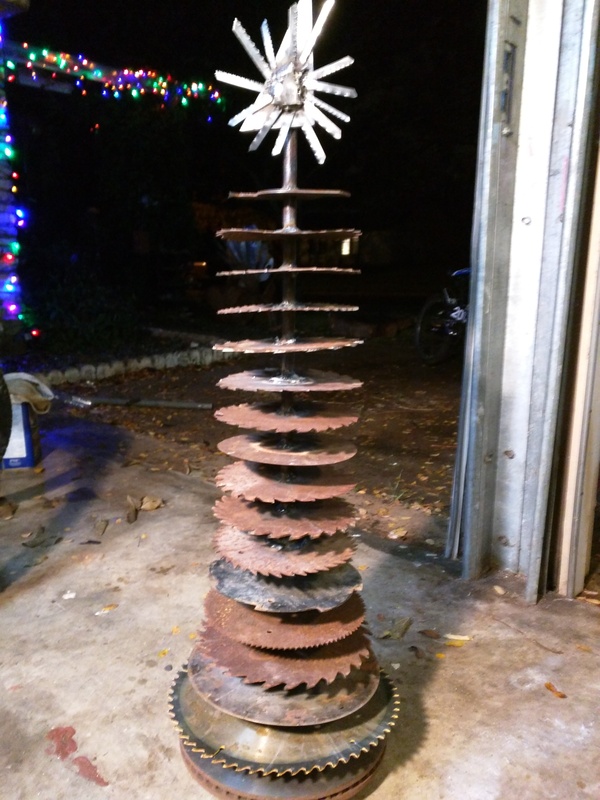 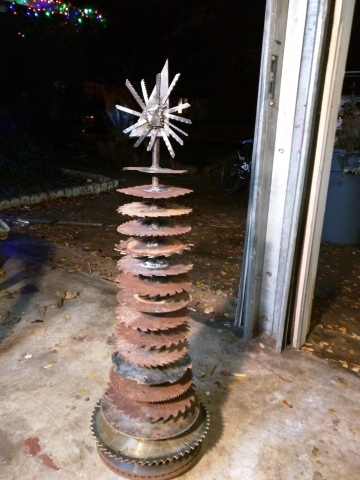 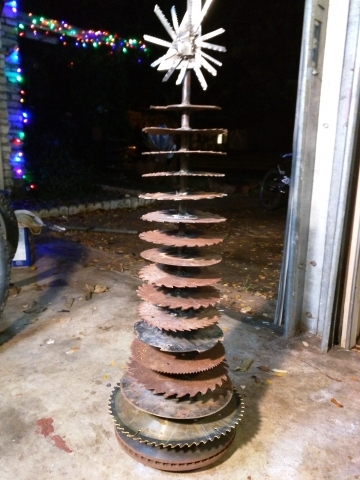 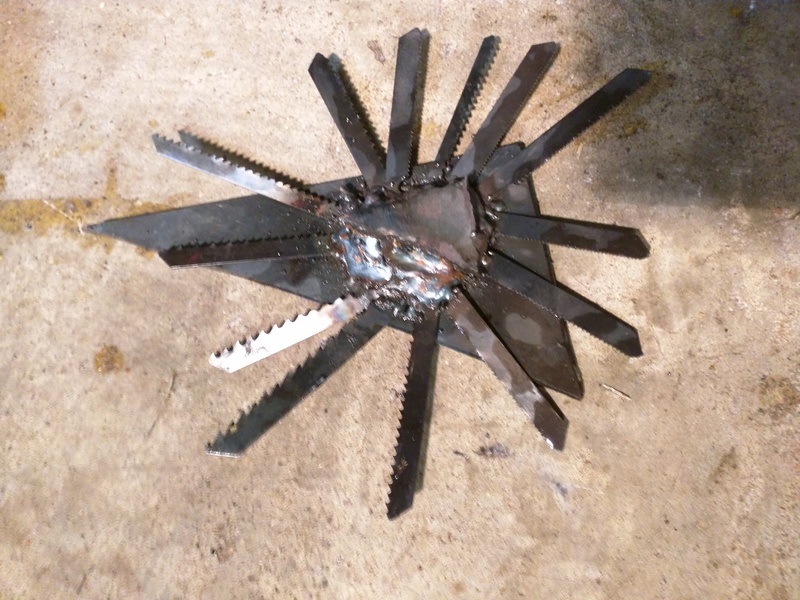 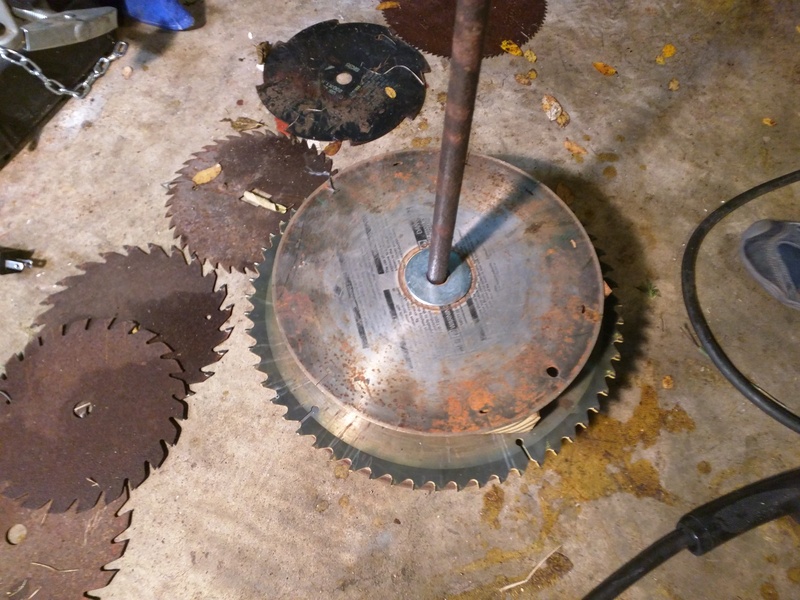 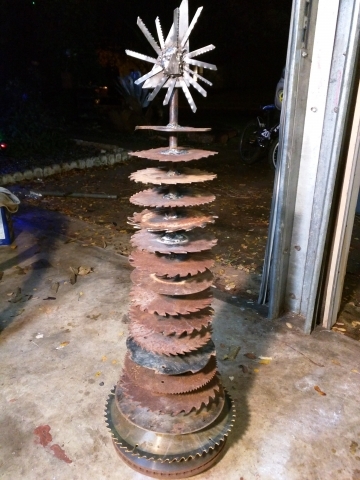 After the tree trunk and base were built, my son (6 years old at the time) did all of the saw-blade welds. 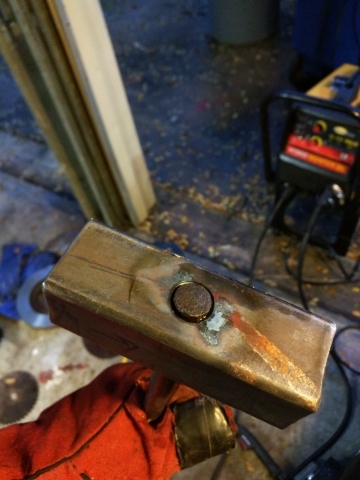 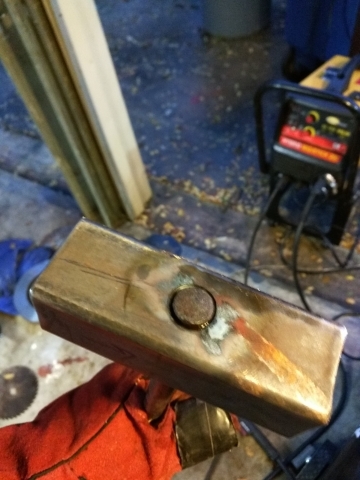 This is his first real creation with steel. 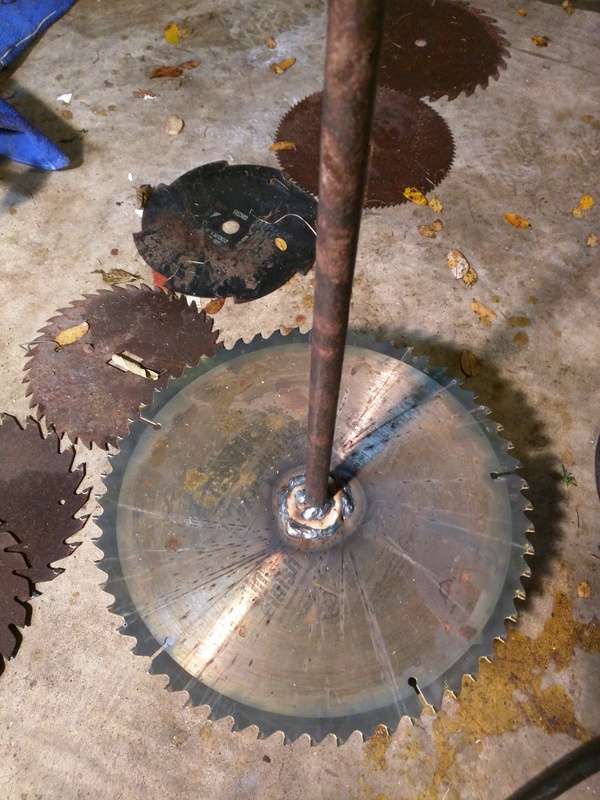 An old disc break and a steel rod were used to erect the tree trunk. 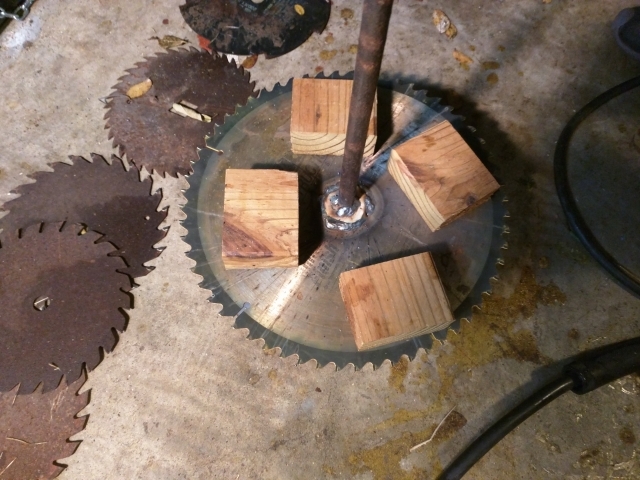 I used four small wood blocks to space the blades. 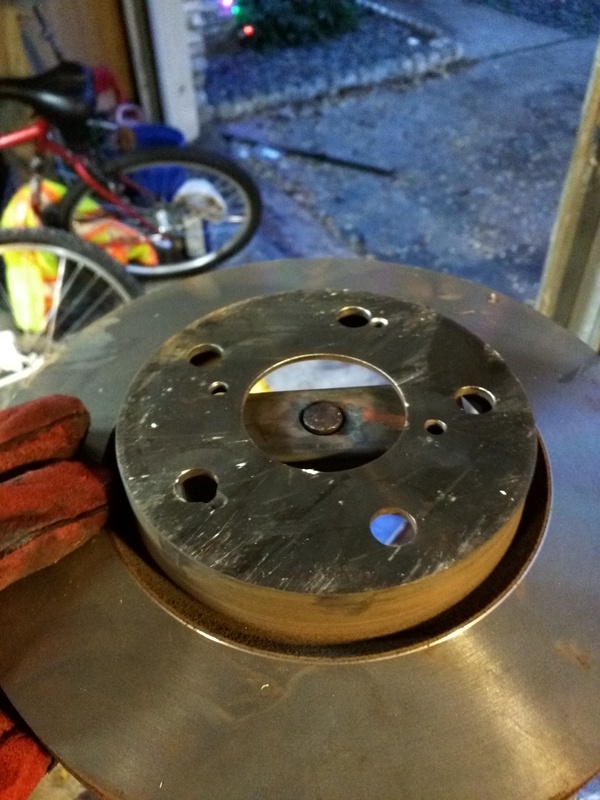 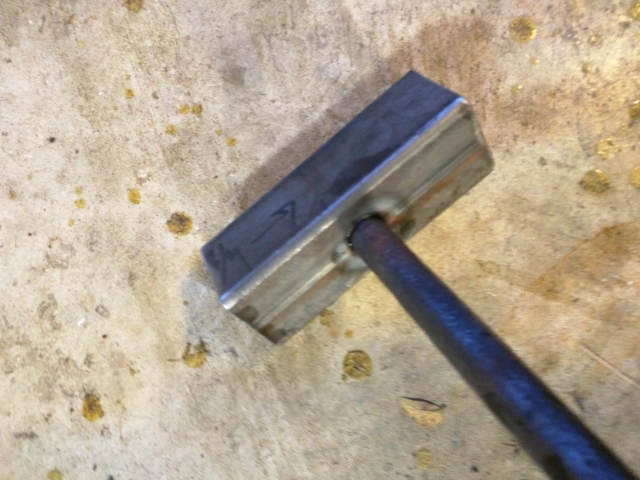 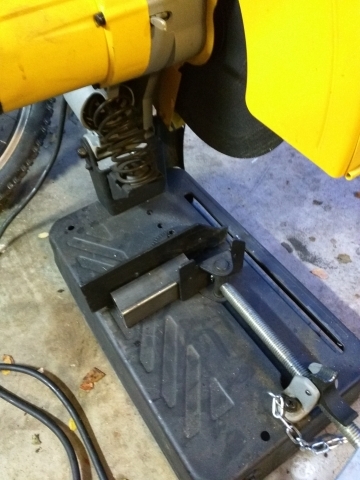 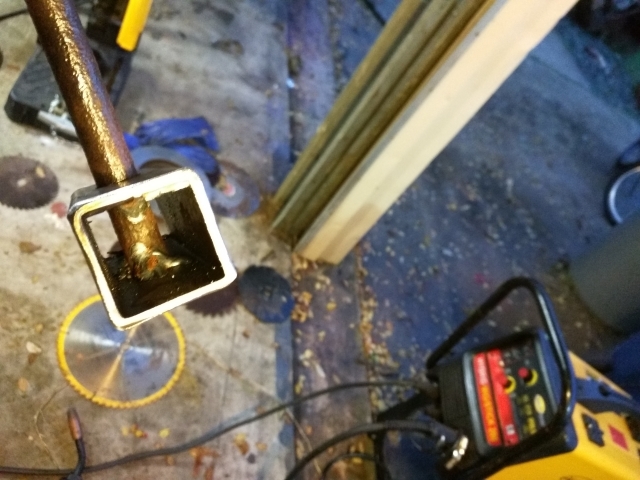 The heat from the weld would warp the thinner blades, so I was careful to correct (bend back) the blades along the way. 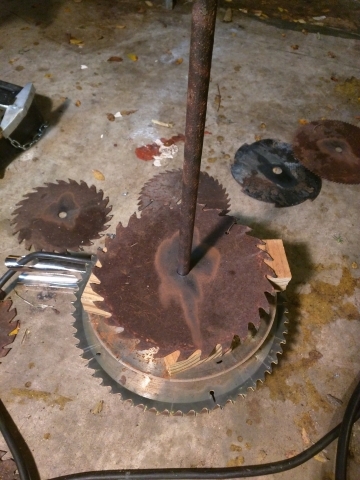 The thin blades would also burn through easily. For these cases, I added a washer or two in order to thicken it up in the center.